Gameday, just wouldn't be the same without some slow cooked version of pork; however here's a quick version if you don't have the time. Place the cutlets between two sheets of plastic wrap and pound thin with a meat pounder or the bottom of a heavy skillet. Combine the lemon juice, olive oil, honey, ketchup, caramelized garlic, paprika, chili powder, rosemary, thyme, sea salt and pepper in a small bowl and mix well. Add the pork cutlets and refrigerate for one hour, turning the meat occasionally. Remove the meat from the marinade and grill for 2 to 3 minutes on each side, basting occasionally with the remaining marinade. 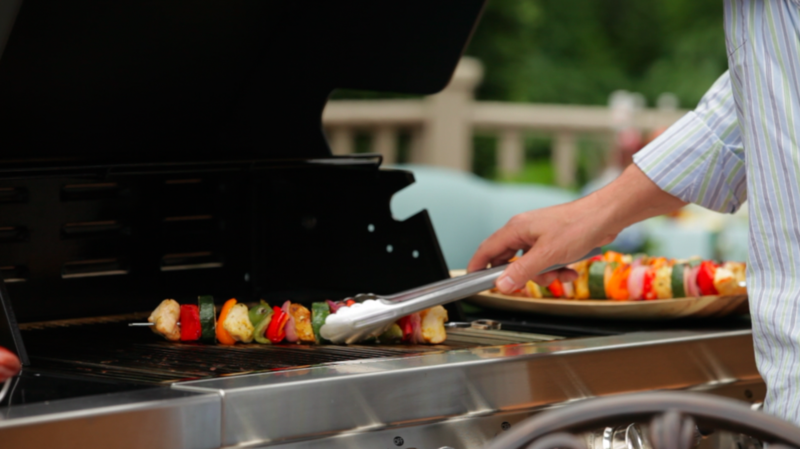 Remove meat from the grill and allow meat to rest 2-3 minutes. Serve on favorite breads such as ciabatta, kaiser roll, baguette, focaccia, or sliders. TIP: Pork can be safely cooked to medium rare at a final internal temperature of 145 degrees F, as measured by a food thermometer, followed by a three minute rest time. NOTE: Ground pork, like all ground meats, should be cooked to 160 degrees F.